Kabbalah Numerology originated from the Hebrew culture and became more popular nowadays, as some huge pop-stars like Britney Spears and Madonna were into it. The right way to pronounce this word is ′Ka ba la′. Kabbalah system was widely used in Hebrew spiritual sciences, and it mostly consists of Hebrew alphabet. ′Kabbalah′ means ′the intellectual work′, rather than the practical or body experience. Kabbalah system implies people to be really honest in order to get the insight. Different numerological systems work with different information about the person. In case of Kabbalah system you will need only the name of the person. 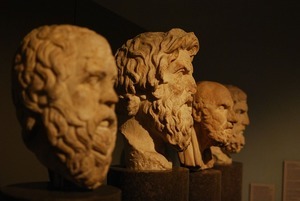 It is the reason why it is not popular among people, as it seems less efficient. Hebrew alphabet is a foundation to find the numerical value of each sign. Only the most common numbers are usually taken into account, as the Kabbalah has more than 400 values. The main purpose is to find the right Kabbalah number for each person. If you want to find your Kabbalah number pay attention to your first name. Then you need to calculate a numerical value of your name. If you have a middle name, include it into the calculation. Make a sum. You will have double-digit number that needs to be divided by 9. The digit that goes after whole number is called a remainder. Then you need to add 1 to your remainder and it will make your Kabbalah number. Let your numerical value be 42. If you divide 42 by 9, you′ll get 6 as a remainder. Add 6+1 and your Kabbalah number will be 7. When your remainder is 0, in cases like 81 (the number is whole and doesn′t have a remainder) add 1 to 0. Kabbalah number in such cases will be 1. Kabbalah number has a certain energy or vibe that synchronizes with certain number. 4 – Lack of fortune. If you are an amateur or new to the systems of Numerology, Kabbalah may appear no different to you. Of course, speaking generally Numerology only calculates numbers. However, the differences exist and they are essential. Kabbalah uses only the name of the individual, ignoring the birth date, while other systems exclude name, but include the date. The value of each number has also changes from system to system. If the letter B could have the same value in Kabbalah and Chaldean systems, it doesn’t mean that other letter coincide as well. Kabbalah Numerology has a huge range of numbers. It has approximately 400 various life path combinations that correspond to particular vibrations. It takes some skills and time to work with this system. 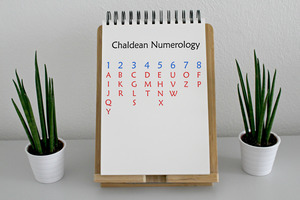 Most of the numerologist elaborate the most common numbers and work this way. If you find Kabbalah Numerology interesting, it is always a place here for you. The emphasis of this system is set on the honesty and sincerity of the person with oneself, the inner balance is obligatory. If you are in balance with your inner and outer world, and feel self-sufficient – you will get maximum profit out of this system. 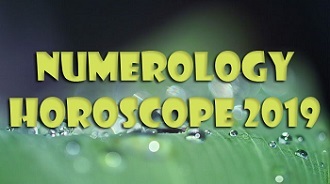 It is the leading system in Numerology. 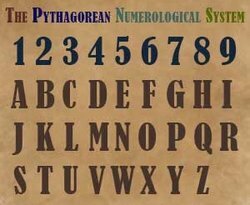 The second name to Pythagorean Numerology is a Western Numerology. Each letter in the Western alphabet has a numerical value from 1 to 9 attached to it.